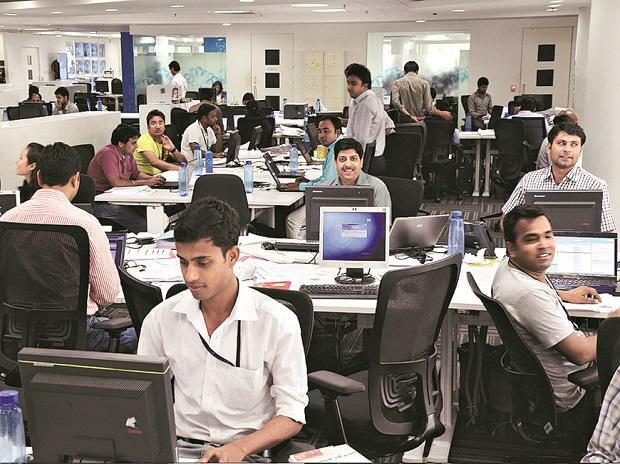 With a recast ICT policy and a slew of fresh incentives on offer, the Odisha government expects to steal a march over peer states such as Telangana and Andhra Pradesh in drawing new investments in electronics & information technology (IT). In the reformulated ICT policy, the government is offering reimbursement on Goods & Service Tax (GST) both to new and existing units, replacing VAT which is subsumed by GST. That apart, a revised special incentive package scheme has relaxed the stiffer norms for investors on employment and investments for availing subsidies on capital investment. “With our revised investment package and policy changes, we are on par with investor-friendly states. Now, we are in a strong position to draw investments in electronics products and mobile hardware alike. Odisha has an edge over them as we have had a fully ready Electronics Manufacturing Cluster (EMC) where investors can walk in and commence their operations since the facility offers plug and play ambience,” said C J Venugopal, principal secretary, electronics & IT. The EMC, developed on the city's outskirts, is expected to house at least 10 confirmed investments worth Rs 500 crore that will start running from March 2019. The cluster has drawn investors in mobile handset manufacturing, solar modules, printed circuit boards, electric vehicles and IoT (Internet of Things) devices. As per the reformulated ICT policy, new industrial units in IT, ITeS (IT-enabled services) and ESDM (electronics system design & manufacturing) are entitled to State GST reimbursement for five years from the date of starting commercial operations. Existing units can also avail the benefit if they opt for expansion, modernization and expansion but it would only apply to enhanced production over and above the current rated capacity and limited to 100 per cent of the additional cost of plant and machinery. Moreover, under the revised terms of the incentive package, the minimum investment needed to be sunk in for availing capital subsidy is lowered from Rs 200 crore to Rs 50 crore. That apart, the employment generation requirement for the subsidy has been scaled down from 500 to 100 at the time of commencing commercial production. The policy proffers 25 per cent investment subsidy on fixed capital investment- land, building, plant, machinery and balancing equipment included to new large and mega investment units and modernization & diversification of the existing units. The capital subsidy comes with a ceiling of Rs 50 crore for any unit installed at EMC, Infovalley or any other ESDM park to be established in the state. The new units will also enjoy exemption from electricity and water duties. On the financial front, they will be eligible for interest subsidy at the rate of five per cent per annum for credit availed from banks and public financial institutions for five years from the date of beginning commercial operations. Incentives announced in the repackaged scheme will be valid till March 31, 2020 or till it is superseded by some other scheme. Listing ESDM as one of its six thrust sectors, the Odisha government has embarked on a host of measures to boost investments, beginning from a roadmap for the sector to setting up characterization lab for chip testing. The roadmap envisages investments worth Rs 7,340 crore and generation of cumulative revenue of Rs 18,800 crore and employment for around 60,000 in the state by 2024.